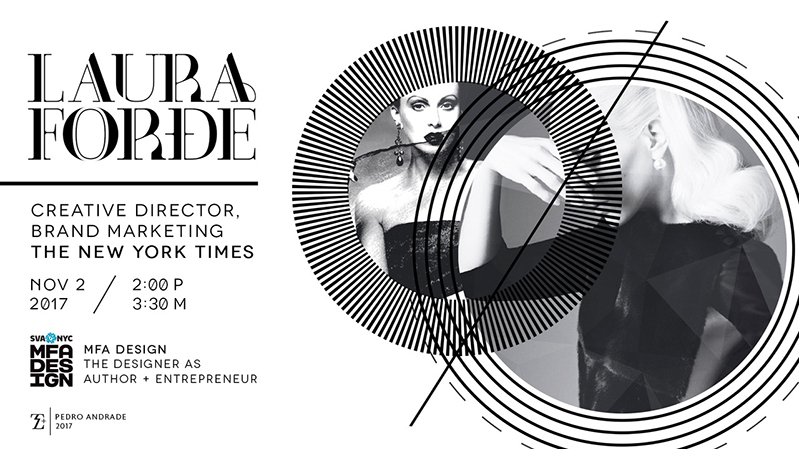 Laura Forde is the Executive Creative Director, Brand Marketing at The New York Times. Prior to this she was a freelance creative director for Google Creative Lab, R/GA, Doremus, Publicis and Mother New York. She received her MFA in Design Criticism from the School of Visual Arts in 2010. She was one of the founding employees of Wieden + Kennedy’s New York office, where she worked for five years—ultimately as design director. Laura has also worked in-house for brands such as Ralph Lauren and J. Crew, and in the editorial art departments of Details, George, and Elle, where she began her career assisting publication director Régis Pagniez. Her writing about design has appeared in Eye, Back Cover, Big, The Daily Note, Victory Journal, as well as the Japanese publication Petit Glam.